Something that not a lot of people know is that the Spanish company Vifico S.A. built Gottlieb games under license from 1985 to 1989. There are several reasons these games were manufactured locally. First there was the exchange rate with the US Dollar that made foreign games more expensive. Further at the time Spain had several regulations to protect their own market and make the import of foreign goods difficult and expensive. Economically it made sense to manufacture games locally as there was a lot of demand for pinball machines. 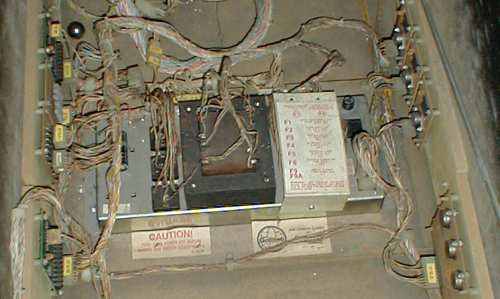 Translights, playfields and pcbs were made in the USA by Gottlieb / Premier and shipped to Spain. Vifico created their own cabinets, wiring, coils and assemblies. Some french collectors who have come across these vifico games told me the quality of some parts used was poor, i.e. 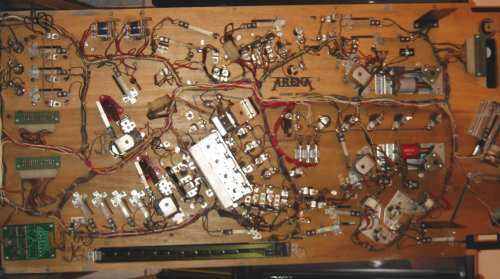 the metal parts below the playfield were thinner than on 'real' Gottlieb models. 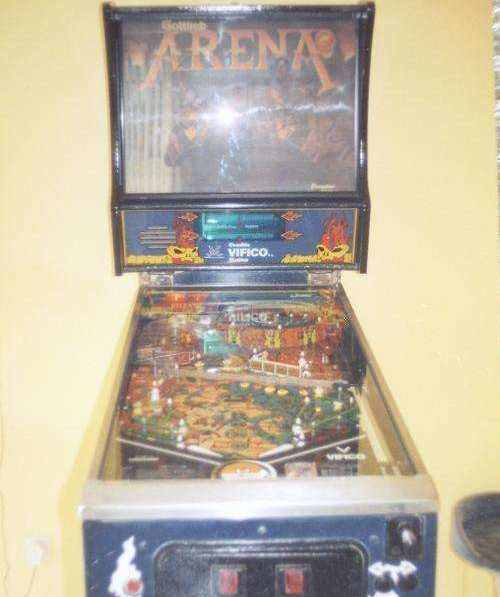 Here's a Vifico Arena pinball machine. The difference with the Gottlieb model (see next picture) is that the name Vifico is right on the apron (bottom of playfield), and underneath the score displays on the speaker panel. PCBs were Gottlieb, no difference here. The cabinet and transformer were made by Vifico. 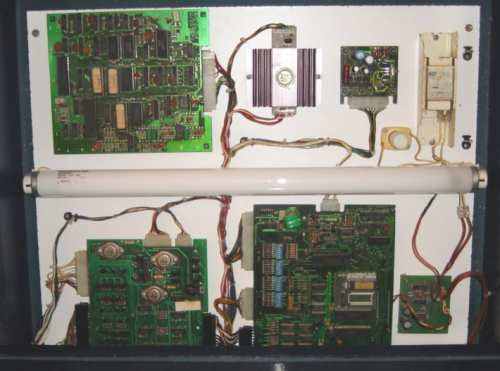 It's different from Gottlieb cabinets (see picture below of a Gottlieb Bad Girls cabinet). Finally the playfield. 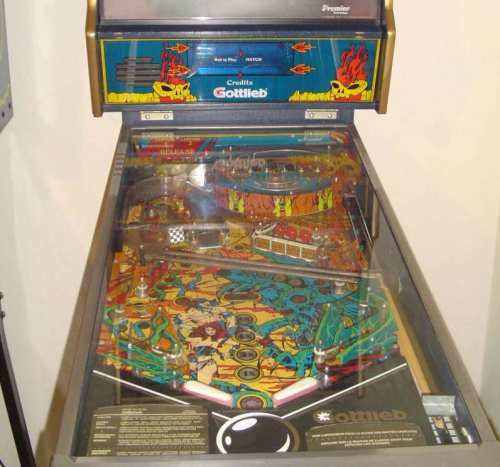 The playfield itself was made by Gottlieb and shipped from the USA to Spain. 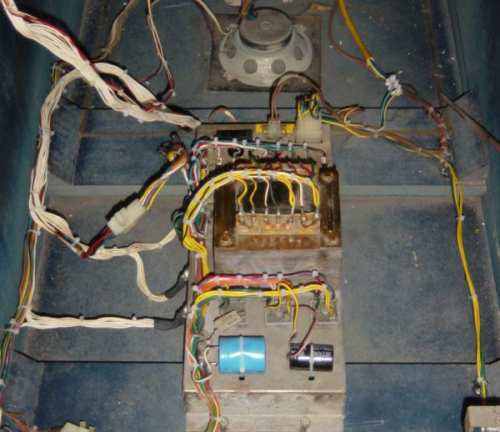 Vifico assembled their own parts, using own wiring, own coils, ..
A Belgian pinball dealer bought all pins left in the Vifico warehouse when they moved from Malaga to Barcelona. He had around 150 Gottlieb pinball machines (and a lot of spare Gottlieb parts) among some Vifico models. Almost every game had water or mud damage to the cabinet. From what I heard the warehouse was flooded but the water was already gone a few hours later.. 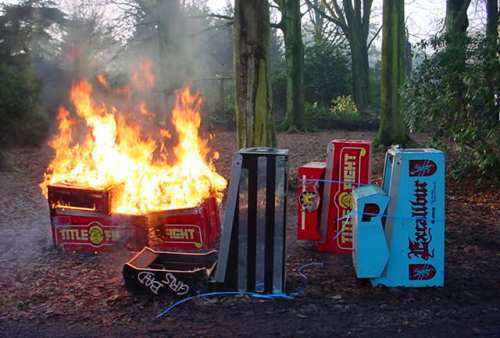 Anyway cabinets that could not be sold and were stripped off every useable part ended this way..